L-functions—vast generalizations of the Riemann zeta function— are fundamental objects of study in number theory. In the 1980's the idea emerged that it could be useful to tie together a family of related L-functions in one variable to create a "double Dirichlet series," which could be used to study the average behavior of the original family of L-functions. Double Dirichlet series soon became multiple Dirichlet series. 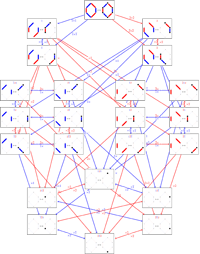 It has gradually emerged that the local structure of these multiple Dirichlet series shows a rich connection to combinatorial representation theory. This program will explore this interface between automorphic forms and combinatorial representation theory, and will develop computational tools for facilitating investigations. On the automorphic side, Whittaker functions on p-adic groups and their covers are the fundamental objects. Whittaker functions and their relatives are expressible in terms of combinatorial structures on the associated L-group, its flag variety, or Schubert varieties. 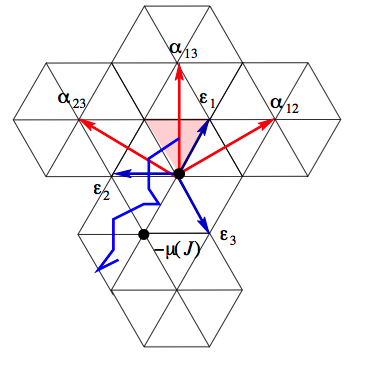 In the combinatorial theory crystal graphs, Demazure characters, the Schubert calculus and Kazhdan-Lusztig theory all enter. Recent progress in combinatorial representation theory has been facilitated by the development of computer programs by the Sage-Combinat group within the open-source mathematical software Sage. These tools have evolved in response to the research needs of the developers, but through a disciplined development process are general enough to have already found applications beyond their original intent. A major component of the program will be the further development and application of these resources, and it is hoped that they may be used to investigate the connection to multiple Dirichlet series and related combinatorics. Image courtesy of Daniel Bump. This composite image represents the three aspects of the program, analytic, algebraic and computational. The image shows the analytic continuation of a double Dirichlet series from the region of absolute convergence (dark gray) to the 2-dimensional complex domain by application of Bochner's convexity principle. Superimposed on this is a Demazure character on a crystal graph, and the Sage command that creates the crystal. Visit dates listed on the participant list may be tentative and subject to change without notice. 3:20 - 3:30 Please remember to fill out your survey. Paper copies available at the 11th floor reception desk. Sage is a mathematics software system developed by and for the mathematics community, whose mission is to create a viable free open source alternative to Magma, Maple, Mathematica and Matlab. Its wide span of features, in particular in number theory, combinatorics, and representation theory, together with its friendly community based development, fosters collaborations across disciplines, from the design and implementation of new computer exploration tools to research. This workshop will bring together experienced Sage and Sage-Combinat developers and experts of multiple Dirichlet series and computational algebraic combinatorics. Like every workshop in the Sage Days series, it will welcome whoever wants to discover Sage, learn more about it, or contribute to it. Schubert calculus is the modern approach to classical problems in enumerative algebraic geometry, specifically on flag varieties and their many generalizations. 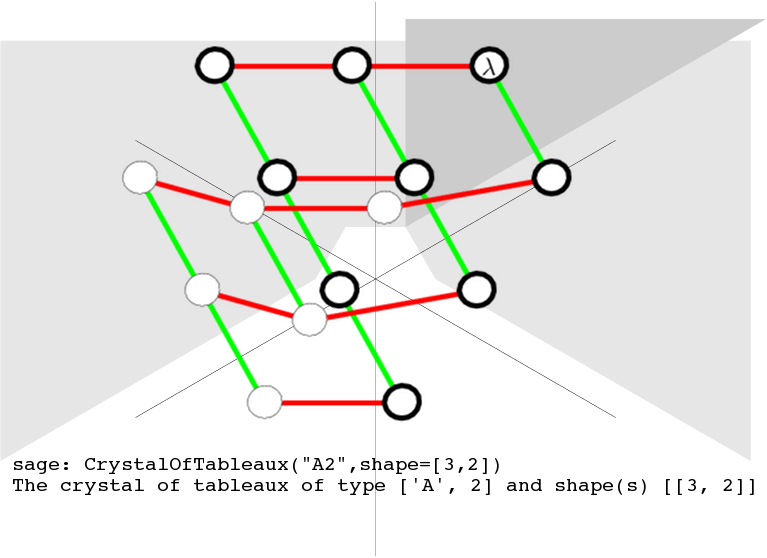 Crystals are combinatorial tools based on quantum groups which arise in the study of representations of Lie algebras. Whittaker functions are special functions on Lie groups or p-adic groups, for example GL(n,F) where F might be the real or complex numbers, or a p-adic field. The area of intersection between these three topics is combinatorial representation theory. Common tools such as Demazure operators, the Bruhat partial order, and Macdonald polynomials appear in all three areas. Some connections between these three areas are quite new. This workshop will explore these connections. Recent years have seen a flurry of activity in the field of Weyl group multiple Dirichlet series. Surprising and unexpected connections between these multiple Dirichlet series and several different fields of mathematics have emerged. This workshop will survey recent results and set the stage for future developments which further interrelate analytic number theory, automorphic forms and combinatorial representation theory.